Hundreds of reviews by Satisfied Customers! 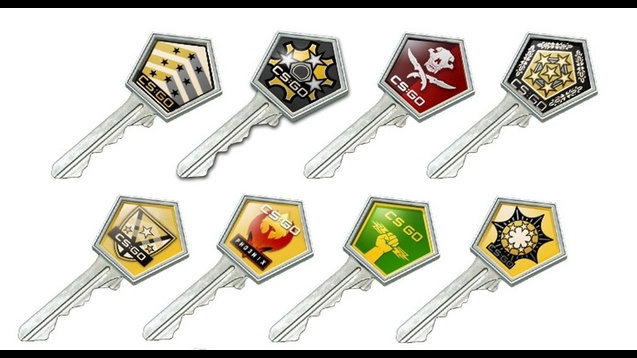 CSGO Keys allow you to open Cases in the game CSGO (CounterStrike: Global Offensive). May include Vanguard, Breakout, Chroma, Revolver, Hydra, Vanilla, eSports, , Huntsman, etc. Our Counterstrike GO Case Keys are sent instantly to your account, but will not be trade-able by you for 7 days after you accept them. Counter-Strike:Global Offensive was released August 21, 2012. It is available on Steam and is a first person shooter, and is the fourth generation of the Counter-Strike franchise. This page allows you to buy cheap Skins and Keys for Counter-Strike:Global Offensive, also known as CSGO. We provide 24/7/365 live support to help you buy CSGO Skins and buy CSGO Keys quickly and easily. Our delivery time Counter-Strike Keys and Skins is usually within 5 minutes of payment. You can buy CSGO Keys with Paypal, Skrill, Debit Card, Credit Card, Bitcoin, G2A Pay, and Runescape Gold. You can also buy CSGO Skins for Paypal, Skrill, Debit Card, Credit Card, Bitcoin, Runescape Gold, and G2A Pay. Our CSGO Keys and Skins are tradeable immediately; you do not need to wait 7 days before trading them with other players on Steam. Our 24/7 Live Support is here to help with any questions or concerns you may have. Please check the bottom right hand side of the page to receive immediate assistance. We are committed to customer service, and we aim to be the #1 CSGO Key Seller and #1 CSGO Skin Seller on the secondary market. We constantly restock our inventory on the site, so if you can’t find the CSGO Knife or Gun that you are looking for, there’s a good chance it will be listed here soon. Check back often to find some great deals at a fraction of the market price. R2Pleasent makes it easy!